Right at the French/ Swiss border and just to the North of Geneva is Lake Geneva. Long a popular vacation spot, the lake has drawn celebrities – Charlie Chaplin, Sophie Loren, and Audrey Hepburn – and the wealthy for years. In recent times the elitist edge has faded somewhat and it is now a spot enjoyed by all. Near to the lakes balmy shores are several hotels, restaurants, shops, and bars. There are also nearby vineyards and wineries in nearby Lausanne on the lake’s northern shore. Also nearby, and perhaps more relaxing are the beaches and thermal baths of Yverdon-les-Bains. History lovers enjoy heading to Montreux which has Château de Chillon a fairy tale like castle. 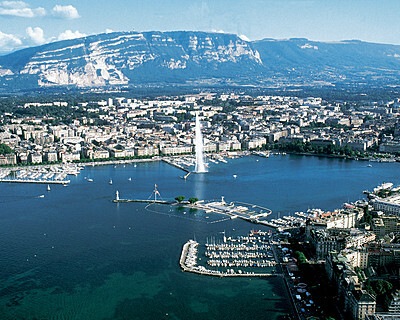 There are frequent bus and train transport from Geneva to Lake Geneva. A major historical and religious site is Reformation wall which commemorates the Reformation of the Christianity in the 17th century. A 300 foot wall that is decorated in various carvings and with statues of Reformation leaders in Geneva such as Guillaume Farel, Jean Calvin, Théodore de Bèze and John Knox it is impressive and imposing. Other Reformation leaders such as Roger Williams and Martin Luther also have statues located nearby. Scrawled across the wall as well is the Reformation and Geneva’s motto: Post Tenebras Lux (“After Darkness, Light”). Being near the wall highlights Geneva’s religious past and shows people why it was once called the “Protestant Rome” for its efforts to expand concepts of what Christianity is. A welcome escape from the cosmopolitan trappings of Geneva is to spend some time in the English Gardens. Just a few blocks from the old town the English Gardens offer a fantastic view over Lake Geneva. The main attraction of the Garden however is the Flower Clock, an actual functioning clock, made from 6,000 different types of flowers. Each year the design is changed. 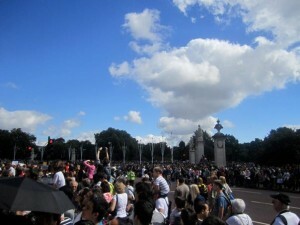 A crowded spot, travelers recommend coming to the English Garden earlier in the morning or in the evening. Perhaps the single most feature that detracts from a person’s good times during a trip is effectively planning their itinerary. Often travelers feel guilty for not seeing enough of a place, or conversely not taking enough time to relax. When you do a group tour you can rest assured that the people organizing it will try to maximize the things you will see, while also – with the benefit of many tours done previously – allow for rest and relaxation time for the participants. Tours often will even give travelers a chance for some alone time too so they can do things independently. 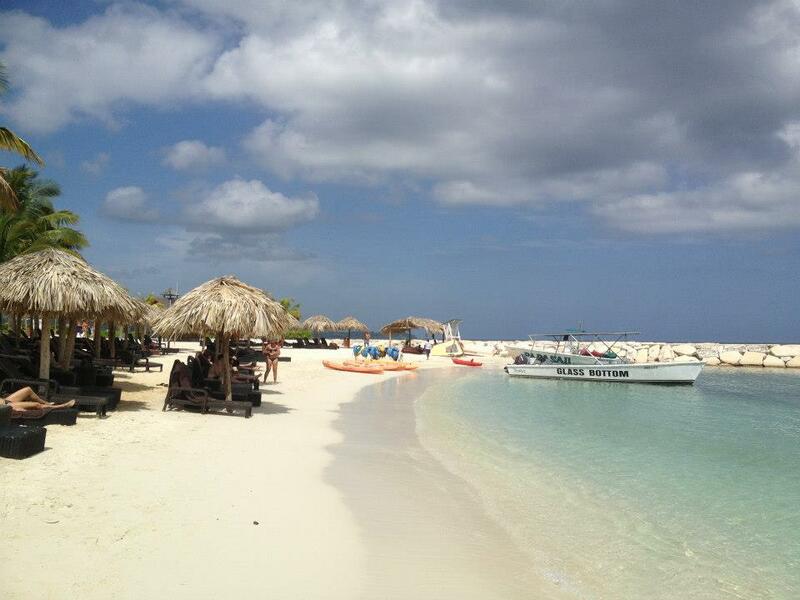 Remove the stress of planning and a lot of good times can be enjoyed and stress removed. A hidden element of traveling in a group is to be thrust into different locales and experiences with some people that perhaps you would not have been around in your regular life. These are the experiences that help develop patience, tolerance and truly help individuals grow as people. The opportunities for friendships on group trips are high, but equally important are the opportunities that people have to expand themselves beyond who they normally are. One of the greatest elements of travel are the opportunities it gives to grow as a person. Being in a foreign land is a great recipe for love to blossom. Like minded people who enjoy travel and adventure are placed in close confines for an extended period and it means that romantic sparks can fly. Moments of heightened experience draw people to together in attempts to share them. With that said more than one lasting flame has begun as people in group travel are near each other and have a wonderful chance to connect. Maybe the next group trip you take leads you towards ever lasting love. A whole world to discover, a world of decisions! When it comes to choosing where to go on holiday, the options are endless. How do you decide? My friend chopped her choice down quite effectively recently, by deciding land versus sea. She basically narrowed her options down (rather broadly, if you ask me) between a beach holiday or a cruise. She went for the cruise in the end, purely because she’d never been on one before and wanted to experience many different places in a short space of time. I don’t think cruises are for everyone, especially if you’re someone who likes to explore and spend time in a destination, as a cruise doesn’t allow you the precious gift of time, just a short taste. I think I’m in that camp too, because I like to really experience somewhere, and to really do that you need to spend at least week there, becoming familiar with your surroundings, but even saying that, I can appreciate the perks of a cruise, and would like to try it, maybe a Caribbean one, sometime in the future. Despite my friend deciding on her dry or wet holiday, there are many other types of holiday out there too, which doesn’t help in narrowing down your choices! Education holidays, photography holidays, dance holidays, yoga retreats, city breaks, theatre breaks, you name it, you’ll find a holiday specialising in it. It all boils down what interests you, what you dream of discovering and how you want to spend your time. The best advice I can give is to open your mind, get on the internet and search, but remember only to book with reputable companies and always ensure you book adequate travel insurance. Once you’ve decided on how you’re going to spend your annual holiday, it’s time to turn your attention the more practical aspects of the whole shebang, i.e. your travel plans. This doesn’t have to be the boring part, because I believe travel should be just as enjoyable as the in-between bit! For most, accommodation is a huge part of the travel experience. If you have to sleep and shower somewhere that you don’t enjoy, you end up having a negative experience of that destination. Be sure to pick your hotel or apartment wisely. Another aspect of choosing your vacation living space is the price. You can find affordable hotels in Malta, Paris and all over the world if you do your research! I try and enjoy the airport experience as much as possible, with duty free and restaurants to enjoy. Make sure you think about how you’re going to get to the airport, so you’re there in plenty of time, and you won’t have to worry. There are many extras to add onto your travel plans, available at all airports nationwide, including those to add onto Heathrow, where you might be lucky and find a cheaper flight. I sometimes find travelling a little further, to a different airport, means you save money on flight prices, as it’s usually the case that regional flights cost a little more. I often search for departure information before I fly, just to ensure I’ve got all my details with me. You can also find some good last minute deals flying around – check out this break-down of Gatwick departures from Holiday Extras. Let me know if you grab a bargain, or if you find it useful. As you can see, holidays are full of decisions! From where you go, how you get there, how long you stay, and what you do when you’re there – decisions, decisions indeed!